WOW! 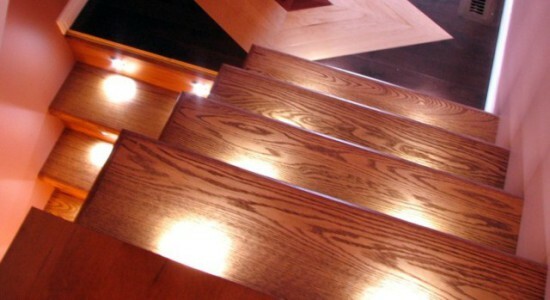 : © Reactive Lighting Traditional staircase lighting fails to impress functionally. Even when lit with a fancy chandelier from an arched ceiling, which basement and attic stairs seldom deserve, the light cast may not be the safest. 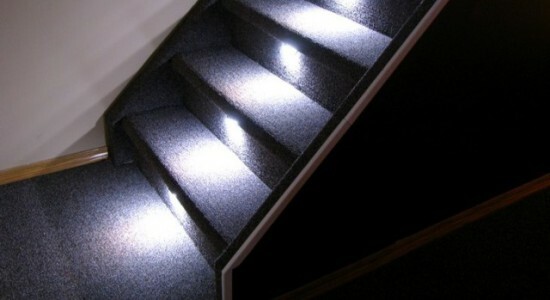 But the Web's famous gadget hacker* from Manitoba, Canada, Alan Parekh, has developed a complete kit for safe, energy-efficient, and versatile LED stair lighting that can express your individual style as well. 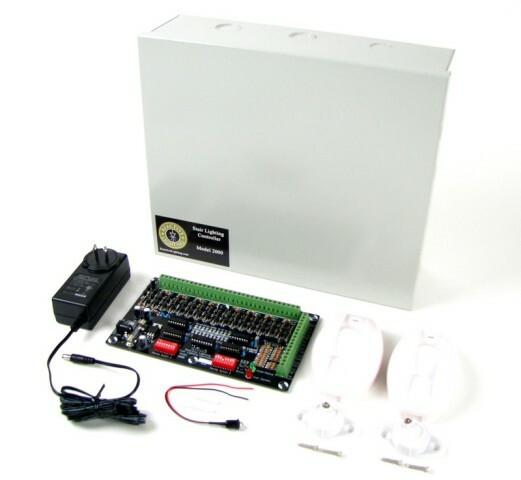 This modest-looking Model 2000 Stair Lighting Controller allows you to completely light each of up to 16 stairs, at stair-level, in whatever design you like. The Model 2000 Stair Lighting Controller is Reactive Lighting's most flexible stair lighting system. It is fully automatic and can be activated by touch, motion, or other senses. While the system itself can be set to 'on' or 'off,' the brilliant, cool, LED lights don't actually beam until their sensors have been activated, so no switch is necessary for spontaneous use. For Do-It-Yourselfers, the setup is completely explained with videos, images, and written instructions. For those more reticent, your local handy-person would find installation fairly easy with some design guidance from you. But go visit Reactive Lighting. There's much more on the site than I can cover. And Alan Parekh is totally accessible to help guide you. * Alan Parekh is also the writer and editor of Hacked Gadgets. EDITOR'S NOTE: A simple home accent lighting kit that you may also want to consider is the Home Accent Multi-Color Lighting Kit or this Guideway Lighting Kit.